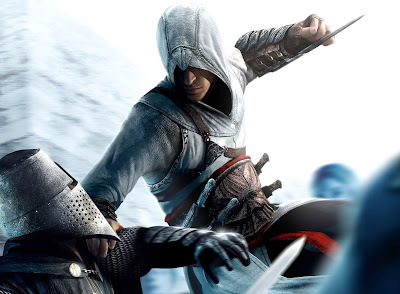 It has been announced, and this comes courtesy of Variety and Anomalous Material, that Michael Fassbender will star in and produce a film version of the popular Assassins Creed video game series. Fassbender's DMC Film will co-produce the adaptation with Ubisoft Motion Pictures, with Fassbender taking on the lead role of Desmond Miles. Miles, a descendent of several generations of assassins, is forced to travel back in time time by a mega-corporation to locate an artefact known as a "Piece of Eden". In the first game, Miles replays the genetic memories of his ancestor Altair, an assassin during the Third Crusade in the Holy Land in 1191. The time travelling and historical universe could prove to be fortuitous as a franchise, but there have been very few successful video game to big screen adaptations. With Fassbender involved it makes this project a lot more exciting. Fassbender, who can currently be seen in Ridley Scott's Prometheus, also starred in X-Men: First Class, Shame, Jane Eyre, A Dangerous Method and Haywire last year. He is one of the best and hardest working actors in the business at the moment. He will be reuniting with Steve McQueen for Twelve Years A Slave and Ridley Scott for The Counselor in the near future. What are your thoughts on this move for Fassbender? Based on the success of the games, their complex storytelling and cinematic quality, do you think there is potential for a successful franchise here? Seeing as it's one of the few games I play, I found this to be amazing news! Love Fassbender's movie selections.